Sony is bringing HTML5, the most recent markup language for web content, to its range of display screens with the new Bravia W800 series. The six models in the range are the company's first to be compatible with HTML5, which was given candidate recommendation status by the World Wide Web Consortium (W3C) in December 2012. This means that most features of the language, designed to make it easier to include multimedia and graphical content, have now been agreed. Takayuki Nakane, Display Product Manager at Sony Europe, said: "The HTML5 format allows users to display rich multimedia content such as videos, pictures and text, as well as other digital content like RSS feeds." Content developed in HTML5 can be uploaded to local servers, a cloud repository or a USB device. 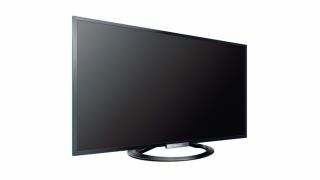 The Bravia W800 can locate the content and show it via a three-way distribution system. The screens can be used for presentations or digital signs in public spaces. Other features include the ability to control displays via internet protocol, a RS23sC.D-Sub 15 pin terminal alongside an HDMI port for connection to a PC, an RJ45 connector, built-in Wi-Fi, and a 17mm thin bezel design. There is also a TV SideView application that makes it possible to control the Bravia W800 using a smartphone or tablet running on Android or iOS, and the option for a model with or without a TV tuner. The screen sizes are 42, 47 and 55 inches.